We all know that the Lord works in mysterious ways. The Fed increased the prime rate back in December which in most cases, would have increased mortgage rates. However, due to many economic factors including a falling stock market, low oil prices and economic uncertainty in China, interest rates on most types of loans have actually DROPPED! Rates are at the lowest point they have been in the past 3 years! However, the biggest difference between 3 years ago and now is that home values are higher than they were three years ago. Whether it is taking cash out for home improvements, consolidating credit cards, consolidating a first mortgage and a second mortgage or just lowering your rate, there has not been a better time to refinance than right now! All signs point to the decrease in interest rates being short lived. This window provides an excellent opportunity to save money on your mortgage payment, reduce your current rate or even take cash out for all those who felt they “missed the boat”. The Bible teaches us to be good stewards with our money so act now before the market swings back! Our primary focus is getting each and every person the best deal possible. 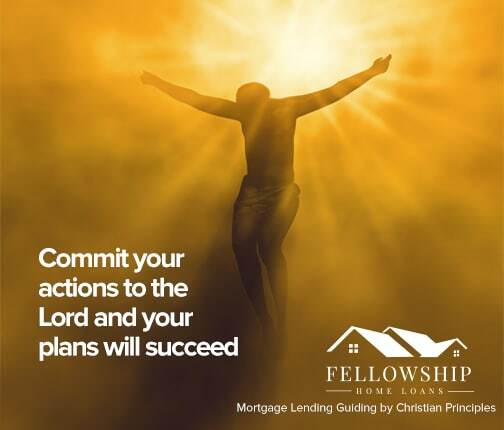 We’ve all been put on this Earth for a purpose, and we know that ours is to help you with your home ownership goals. We want to help as many people as we can. If you have any questions and would like to know how current market conditions could help you, contact us now. By now, you have all heard about our famous Mortgage Sweepstakes where we pay one Blessed Family’s mortgage for a full year. The good news is that we are STARTING IT AGAIN MARCH 1st and the even better news is that we want to add an awesome twist to it! Why pay one family’s mortgage when we can pay two family’s mortgage? Why not three? Or even four!?!?! WELL….this is where we want to hear from you and get your opinion on what we should do. Post in the comments below your thoughts on the sweepstakes. We are Blessed to have the opportunity to do something like this for the community that has been so loyal us throughout the years. This is our way to “pay it forward”! – 2 months off from their mortgage payments! As always, please feel free to contact us at 1-800 804 SAVE(7283). Make sure you stay up to date with all Fellowship Home and mortgage updates by “liking” us on facebook. Just click below!